I did an interview a while back for CMO magazine about the emerging "Chief Data Officer" role. It's out now and you can read it online here. Seems I'm on IDG's radar this year as someone who likes the sound of his own voice and is handy for a couple of quotes. 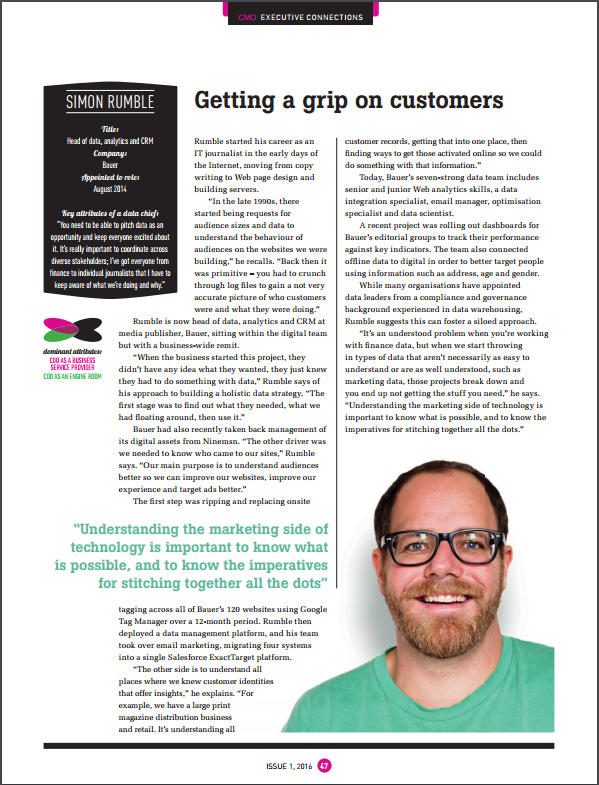 I also did an interview with CIO magazine earlier in the year, viewable here.